The Other Mrs Walker is the beguiling debut from Mary Paulson-Ellis, for fans of Kate Atkinson and Sarah Waters. Somehow she'd always known that she would end like this. In a small square room, in a small square flat. In a small square box, perhaps. Cardboard, with a sticker on the outside. And a name . . . In a freezing, desolate Edinburgh flat an old woman takes her last breath surrounded by the few objects she has accrued over a lifetime: an emerald dress, a brazil nut engraved with the ten commandments - and six orange pips sucked dry. Meanwhile, guided by the flip of a coin, Margaret Penny arrives back at her old family home, escaping a life in London recently turned to ash. 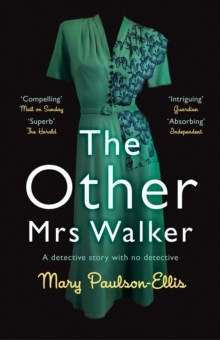 Faced with relying on a resentful mother she has never really known, Margaret soon finds herself employed by the Office for Lost People, tasked with finding the families of the dead: the neglected, the abandoned, the lost. 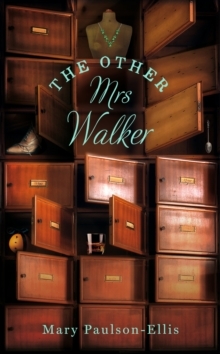 Her instructions are to uncover paperwork, yet the only thing Mrs Walker, the old woman in her current case, left behind is a series of peculiar objects. But in the end it is these objects that will unravel Mrs Walker's real story: a story rooted in the London grime and moving from the 1930s to the present day, a story of children abandoned and lost, of beguiling sisters and misplaced mothers, of deception and thievery, family secrets and the very deepest of betrayals; in which the extraordinary circular nature of life will glitter from the page. For in uncovering the astonishing tale of an old woman who died alone, Margaret will finally discover her own story too . . .